TLC HomeWatch of Anthem, Arizona, has earned Accredited Member status from the NHWA for the second year. Owner Michael Caplin has spent the last 40 years in sales for an investment management company. He has owned rental properties in a college town, where the tenants didn’t really care about the apartment they were living in, since their parents were covering the rent as well as the security deposit. Because of this, there wasn’t much Michael didn’t have to fix, replace, or repair in his properties. When his neighbors in Arizona started to ask him to watch their homes while they were elsewhere, Michael realized this could be a business. Thus, TLC HomeWatch was born in 2017. 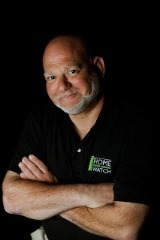 Michael has earned the designation of NHWA Certified Home Watch Professional. TLC HomeWatch serves Anthem, Tramonto, Desert Hills, New River, Cave Creek, and Carefree. You can reach Michael at (623) 792-8607 or at mwc1251@gmail.com. Learn more at www.TLCHomeWatchLLC.com.